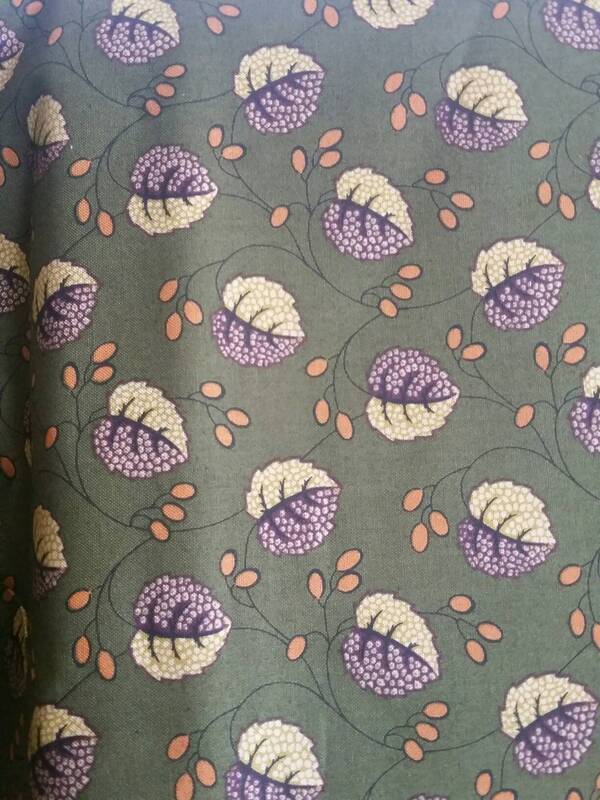 Andover Holly Berry by Kathy Hall with plum and tan larger leaves on a green background with vines containing small orange leaves was curated because of the dark green background and the vibrant plum and tan leaves. 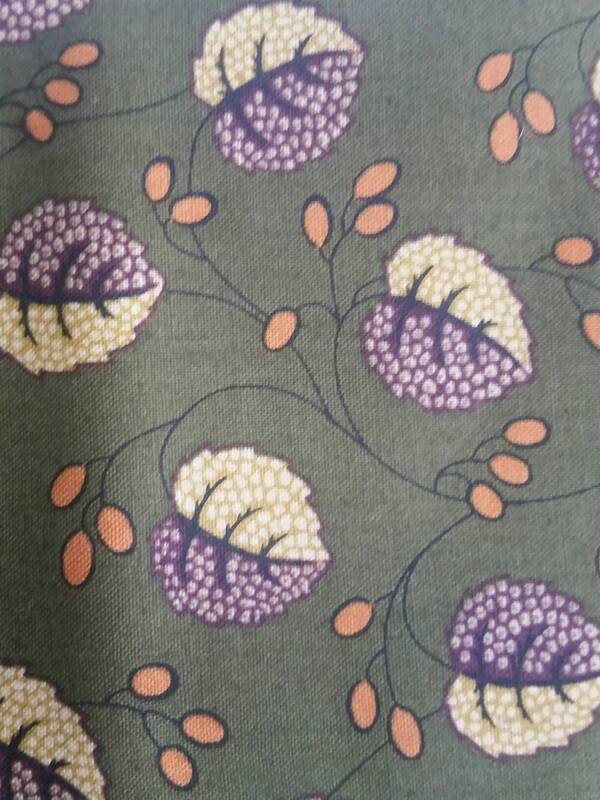 This fabric would coordinate well in a quilt and would play well as a transition fabric or medium print fabric. It will add interest to any quilt pattern. You may choose a one yard cut or a continuous cut of more yardage. One yard is 36"x44". 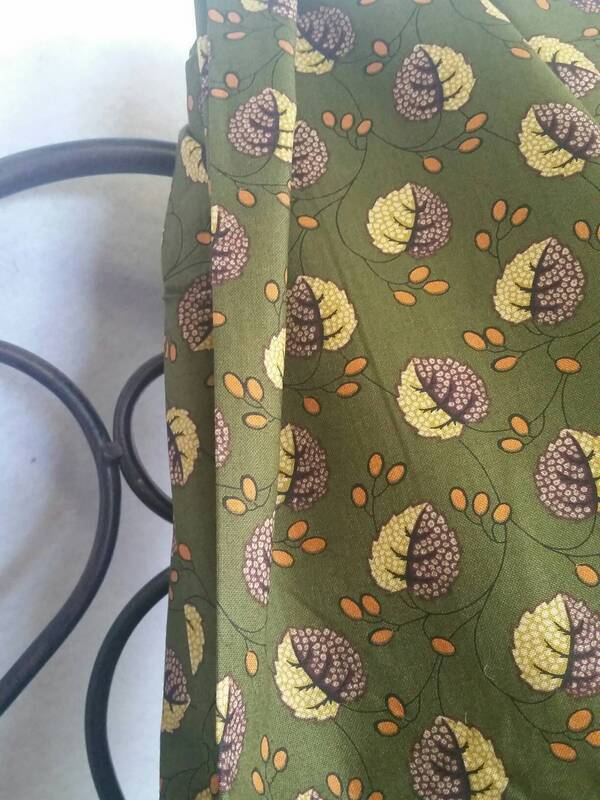 This is new fabric on the bolt. 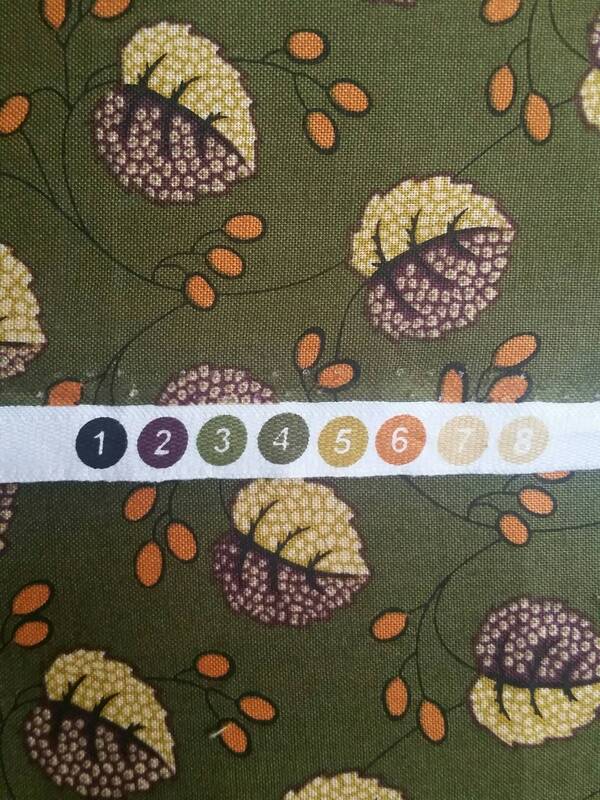 As you notice in other listings, I purchased some additional coordinating fabric from other lines. Due to my lack of photography skills, there may be a slight variation in color portrayal, but every effort has been made to assure accuracy.